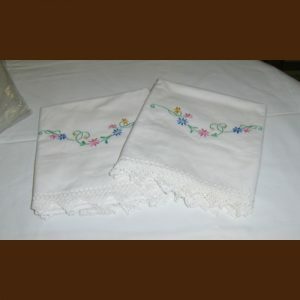 At Olde Tyme Antiques in Austin Minnesota we carry a wide selection of vintage and antique handmade linens and textiles. We boast a wide variety of linens, and have carefully stored and preserved these items to maintain their original appeal. 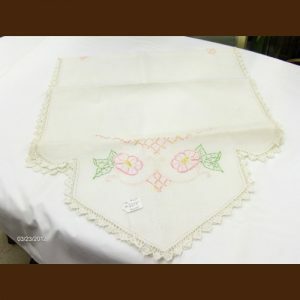 In addition we have many other vintage handmade textiles from the earlier eras, including items such as; aprons, scarves, pillowcases and more. Our selection of nearly flawless vintage and antique linens is sure to impress even the most skeptical collector. With our great selection of antique and vintage linens you will be sure to find that perfect handmade textile to display in your home. Give us a call or stop in to our showroom in Austin Minnesota today!